Planning to Remodel Your Daytona Beach Kitchen? Homeowners in Daytona Beach, Florida have been trusting Abel Construction Enterprises, LLC to create their dream kitchen for years. Professional advice and expert installers make Abel Construction Enterprises, LLC the leading choice for kitchen remodeling in Daytona Beach. Whether you're planning to replace kitchen cabinets, install fresh countertops and upgrade appliances or renovate the entire room from plumbing fixtures to flooring, Abel Construction Enterprises, LLC has the expert advice you need. They're ready to tackle any kitchen remodeling challenges that Daytona Beach homeowners face, and offer quality materials for every taste and budget. Kitchen renovations can get expensive, but these home improvements can also add incredible value to your property and make daily living better. The design staff at Abel Construction Enterprises, LLC focus on creating value for your Daytona Beach kitchen remodeling investment, ensuring your new space remains comfortable and appealing for years. Having worked in Daytona Beach, FL for many years, they also know what fits into the local real estate market, offering an advantage should you ever put your home up for sale. The best kitchen renovation covers the big picture of design and space without leaving out the tiny details. Abel Construction Enterprises, LLC always works hard to ensure every Daytona Beach kitchen remodeling project is tailored to the client and includes a well laid out design with custom details tucked in. Space saving cabinets, energy efficient fixtures and personalized decor touches are all part of the job for Abel Construction Enterprises, LLC, as many Daytona Beach homeowners will confirm. 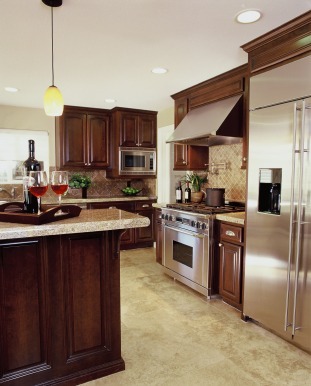 Get the help of a local professional on your side and create the kitchen of your dreams. The expert contractors at Abel Construction Enterprises, LLC have proudly served homeowners across Daytona Beach, FL for years, making countless kitchen remodeling dreams come true. Call Abel Construction Enterprises, LLC at (386) 269-4676 today to start the ball rolling on your own kitchen renovation project.